A 1991 original gets flipped. 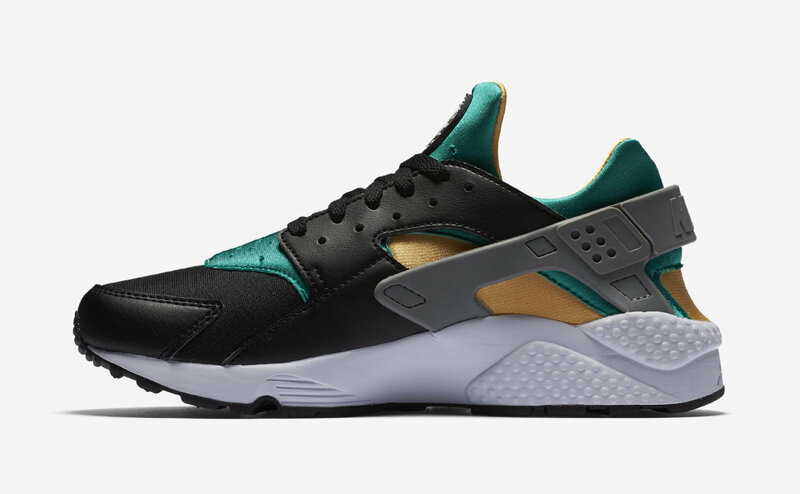 One of the Nike Air Huarache's most memorable OG colorways is coming back with a slight twist. The "Emerald/Resin" colorway from 1991 is back, but its traditional white toe and leather overlay has been swapped out for black. 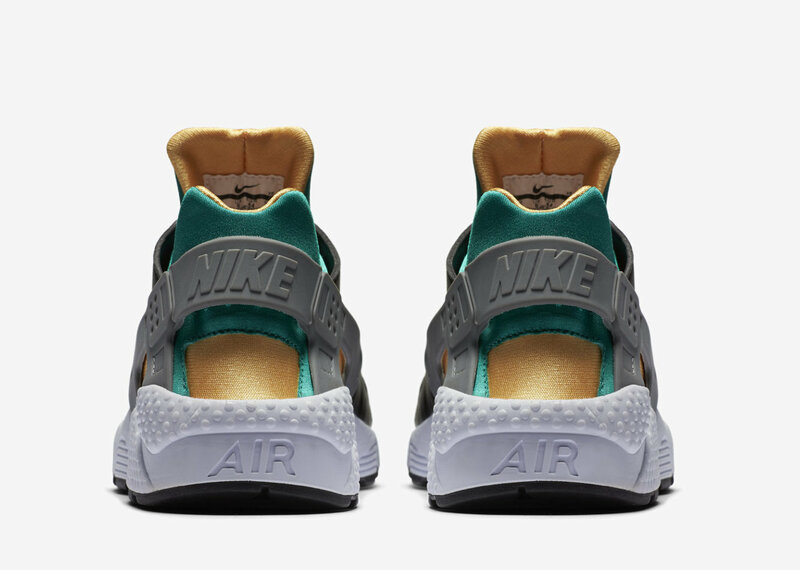 Elsewhere, the same emerald green and resin gold shades seen on the original fill in the shoe's Dynamic Fit bootie system. 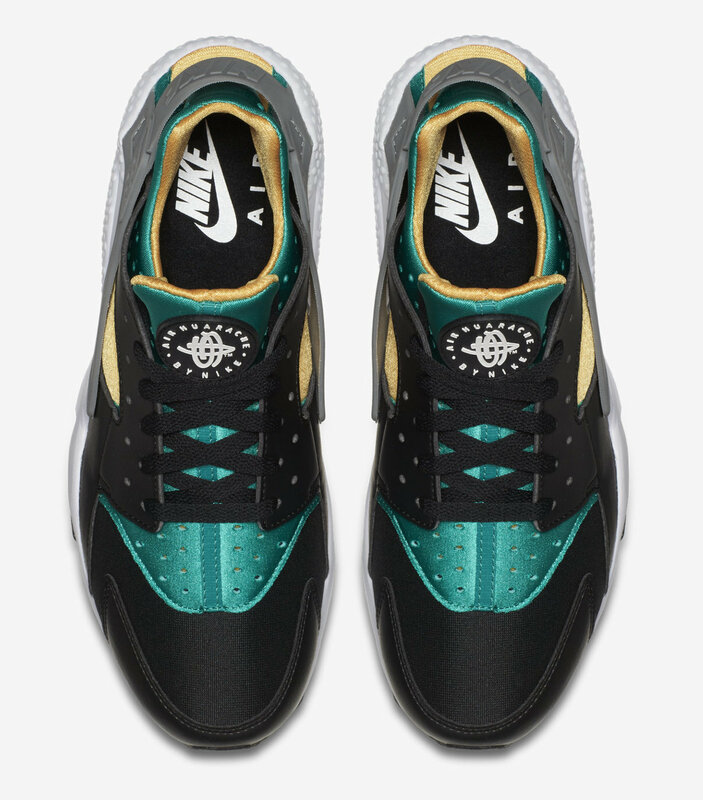 This OG-inspired pair is now available from nike.com for $110.